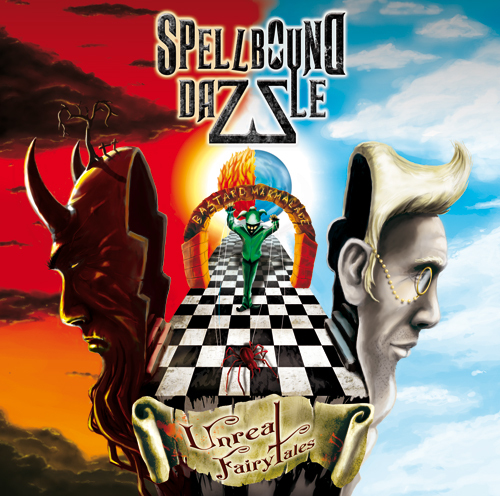 SPELLBOUND DAZZLE soon to release their debut album "Unreal FairyTales" on 28 January 2011. As previously reported the band gained the cover and tattoo artist Malte Zirbel of Black Bullet Tattoo from Hagen, Germany for the "Unreal FairyTales" artwork, which he drew according to the singer's ideas. Now the complete artwork is ready to be hold in your hands. The cover is splitted in heaven and hell and those parts are continued in the booklet so that the total work of art is illustrated on five pages. puregrainaudio.com 9/10 - "There's so much that is good about this album … SPELLBOUND DAZZLE aimed to make unique music and they sure succeeded! … Truly an innovative and interesting release." usaprogmusic.com 8/10 - "… there is no doubt these guys can write good melodies in their sleep … If you like well written melodic metal with some nicely progressive surprises, SPELLBOUND DAZZLE are for you. A great start to an extremely promising career." lordsofmetal.nl 75/100 - "… it is a pleasant listening experience, this ‘Unreal FairyTales’. … I will keep an eye on this band. These half Italians could grow into something…"
earshot.at 4.5/7 - "Unreal FairyTales wird sicher polarisieren. Entweder man liebt diese Art Songs zu komponieren und zu präsentieren oder man hasst sie. 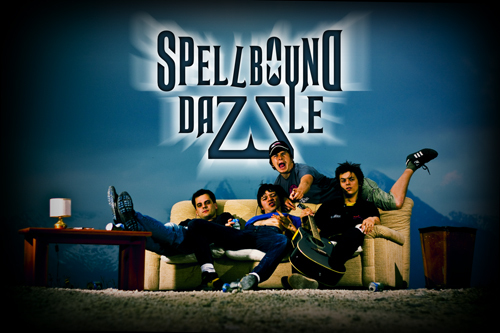 SPELLBOUND DAZZLE ist auf jeden Fall eine sehr spannende Band, die man im Auge behalten sollte." metalteamuk.net "I liked its eccentricities and it’s lively and interesting. Overall it’s fun, well produced and enjoyable to listen to." chicisthenewpunk.com 16/20 - "… there is nothing to throw on this album, which can be heard without any downtime." nightspirit.no 609/666 - "This band will leave nothing less than an impact on the metal/alternative scene. Great work guys, keep it coming." Right on time to the release on January 28th SPELLBOUND DAZZLE will play a release show in Hagen, Germany. On February 4th they continue the mini tour in Wuppertal with Decoy Inc.. Don't miss it! 4BACKWOODS with new single "Butterfly" in Smart commercial!!! 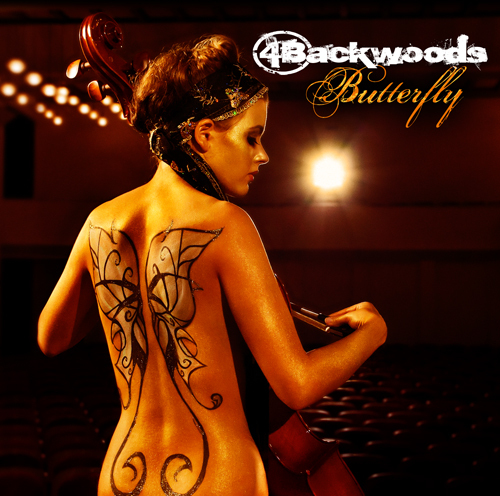 This Friday, on December 10th, Limited Access Records will release the new 4BACKWOODS download single "Butterfly". The rock ballad with sensitive strings will be released as third single taken from the 4BACKWOODS album “Be Different Or Die“. The song together with the upcoming brilliant music video by director Ully Fleischer will be the perfect sound for a romantic cold winter night in front of the fireplace. "Butterfly" is available as single and vingle inclusive video in all download stores like iTunes, Musicload, Amazon MP3, MP3.de. From now on the music video is on air at German TV station iMusic1 and the video will be online from friday at all video portals like YouTube, MySpace, Vimeo, MyVideo.de. Photos of the video shooting will be also online on friday. You will see them at the 4BACKWOODS Facebook, MySpace and Studi/MeinVZ profiles. Next Friday on December 17th the Making Of video will be online at the 4BACKWOODS YouTube channel. Have a look how the musicians prepared for the shooting and what happened behind the scenes. On time to the single release the current SMART advertising campaign for the new iPhone app will start and 4BACKWOODS will be part of the commercial with “Butterfly“. Take a look at www.smart.de in the next days. Next year there will be more great news concerning 4BACKWOODS and their album "Be Different Or Die" and the single "Butterfly". 4BACKWOODS and the Hard Rock Café Cologne get involved in the charity project „World Hunger Year“ under the patronage of the Boss! 4BACKWOODS and the team of the Hard Rock Cafè Cologne has recorded a song under the name "The Ambassadors". The benefit of sales will be for the charity project "World Hunger Year" which fights against hunger and poverty worldwide amd is under the patronage of Bruce Springsteen. 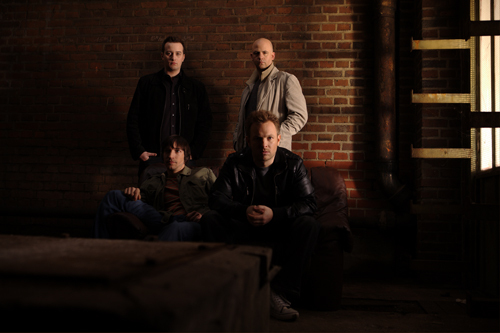 Daniel Wagner, singer of 4BACKWOODS, arranged and produced the song "Imagine Twenty Ten" and recorded it with his bandmates and the Hard Rock Cafè Cologne staff. Download the song at www.we-you.org and watch the video filmed in Cologne. On Friday 10th December Limited Access Records will release the new 4BACKWOODS download single "Butterfly". To get an exclusive pre-taste of "Butterfly”, have a look at our Limited Access Records MySpace player and don't forget to post a comment at our MySpace or Facebook profile! Right to the single release date some more news will follow! Be curious to see what's coming up next! 4BACKWOODS veröffentlichen die Trackliste und das Cover-Artwork für die Power-Ballade "Butterfly" + exklusives Pre-Listening!!! Nächsten Freitag am 10. 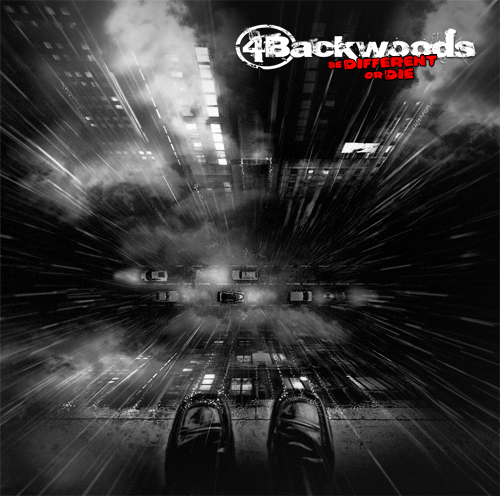 Dezember erscheint die neue 4BACKWOODS-Single „Butterfly“ über Limited Access Records. Die mit gefühlvollen Streichern unterlegte Rock-Ballade „Butterfly“ erscheint als dritte Single-Auskopplung aus dem 4BACKWOODS Album „Be Different Or Die“. Zusammen mit dem in Kürze erscheinendem großartigen Musikvideo von Regisseur Ully Fleischer ist „Butterfly“ die perfekte Kuschelrock-Nummer für die kalten und langen Winternächte vor dem Kamin. Für einen exklusiven Vorgeschmack auf „Butterfly“ hört in unseren MySpace-Player rein und vergesst nicht uns einen Kommentar in unserem MySpace oder Facebook-Profil zu hinterlassen. Pünktlich zum Single-Release folgen weitere 4BACKWODS News. Seid gespannt was da kommt!